Wisconsin reform organizations, working together, have worked to set up this goal. We hope to gain your support in working towards putting up a billboard in the Waukesha/Brookfield/West Allis area, near districts of Sen Vukmir and Sen Lazich. Medical Marijuana is supported by a majority of Wisconsin voters, but this medicine is being blocked by politicians. Patients are needlessly suffering. Your donation can make a big difference. The primary goal is to put pressure on politicians who are against medical cannabis, and this is a very prominent spot for billboards, near two committee member districts. A secondary goal is to have residual effect on 2014 elections. To achieve this goal, we are hoping to top $7500 through crowdfunding. We hope to run the billboard for 4-6 weeks before the November 2014 election. We hope you will donate to this campaign. The billboard will be digital, present a picture of Lazich and Vukmir with text of “Who is stopping medical cannabis in Wisconsin? Sen Lazich is… Sen Vukmir is…” It will have reference to SB363. Your donations will be matched so donate now to double your dollars Click here to donate. Thank you for contacting me to express your support for H.R. 1983, H.R. 1984, and H.R. 1985, regarding the legalization of marijuana. I appreciate you taking the time to let me know your views on this important issue. As you may know, on May 25, 2011, Representative Barney Frank introduced H.R. 1983 which would allow for the rescheduling of marijuana and would allow medical marijuana to be used in accordance with the laws of the various states. This bill was referred to the House Committee on Energy and Commerce on May 25, 2011, where it is currently pending. Representative Jared Polis introduced H.R. 1984 on May 25, 2011. This bill would allow states to certify a business as legitimate for purposes of a financial institution’s suspicious activity reporting requirements. It also would facilitate unambiguous compliance of such businesses with state law and provide regulatory relief for financial institutions. H.R. 1984 was referred to the House Financial Services Committee on May 25, 2011. It is currently pending in this committee. H.R. 1985 was introduced by Representative Fortney Pete Stark on May 25, 2011. 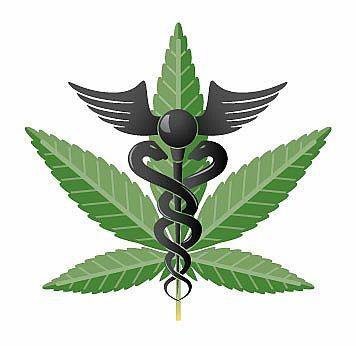 This bill would allow a deduction for expenses in connection with the trade or business of selling medical marijuana pursuant to state law. It was referred to the House Committee on Ways and Means on May 25, 2011, where it is currently pending. Please be assured that I will continue to follow these pieces of legislation carefully. Should these bills be brought up for a vote on the House floor, I will be sure to keep your thoughts in mind. While many have expressed their belief that legalizing marijuana could solve some of the problems facing America today, I do not believe that our nation would be best served by eliminating the penalties for marijuana usage. Marijuana leads to many of the problems that affect our nation—from uncertain futures due to low school achievements by students with drug habits to drug trade money funding terrorist activities. Furthermore, marijuana impairs an individual’s ability to function. With more than a million drunk-driving cases a year and nearly 10 percent of the adult population heavily involved with alcohol, the availability of more mind-altering substances could become a harmful policy. Private intoxication hurts the individual, but public intoxication has the potential to hurt innocent victims. Policy makers should advocate policies that support a healthy, productive and safe society. In the meantime, if you wish to share additional information with me concerning this issue, please feel free to contact me by calling, emailing, writing, or faxing me. Please be advised that mail sent to my Washington office is subject to an additional two-week delay due to increased mail security. Thank you again for contacting me on this issue. If I can be of further assistance to you regarding this or any other matter, please do not hesitate to contact me. I am always happy to respond and be of service to you. Clearly, if Mr. Ryan took the time to be educated on the subject, he’d find very quickly (just by Googling “marijuana toxicity”) that cannabis (aka marijuana) is in fact non-toxic. It’s even less toxic than water. That’s all Wisconsinites ask for. A little bit of medical care. It costs the state nothing and would make the state (and the rest of the nation) a windfall. Not to mention the thousands of jobs that would be created overnight. After all, isn’t that the reason Governor Walker was put into office in the first place? To create jobs? Things sure are pretty quiet on capitol hill as far as people’s health and job security are concerned.